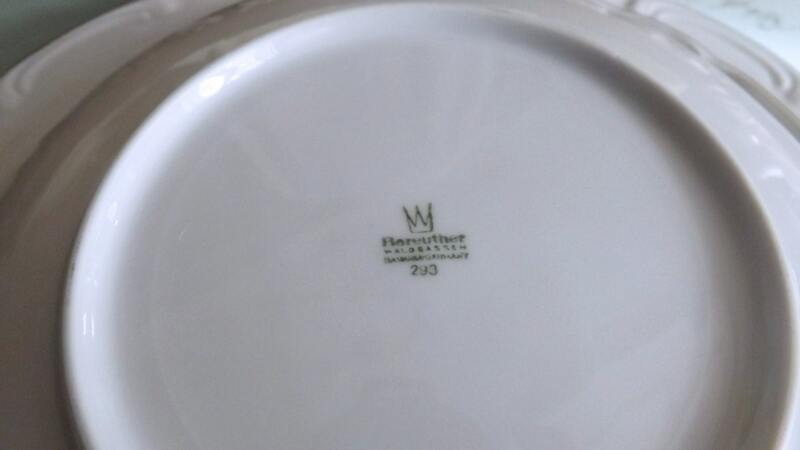 Vintage (1960s) Bareuther BTH112 | Winterling WIG224 plate service. 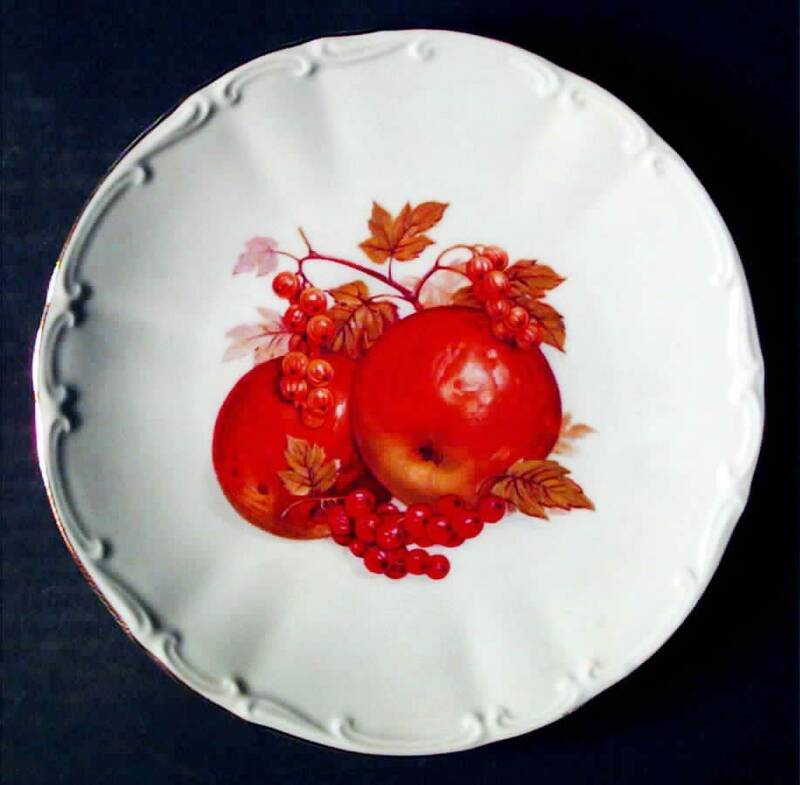 Large round Winterling platter, 4 dessert plates. Fruits. Embossed. 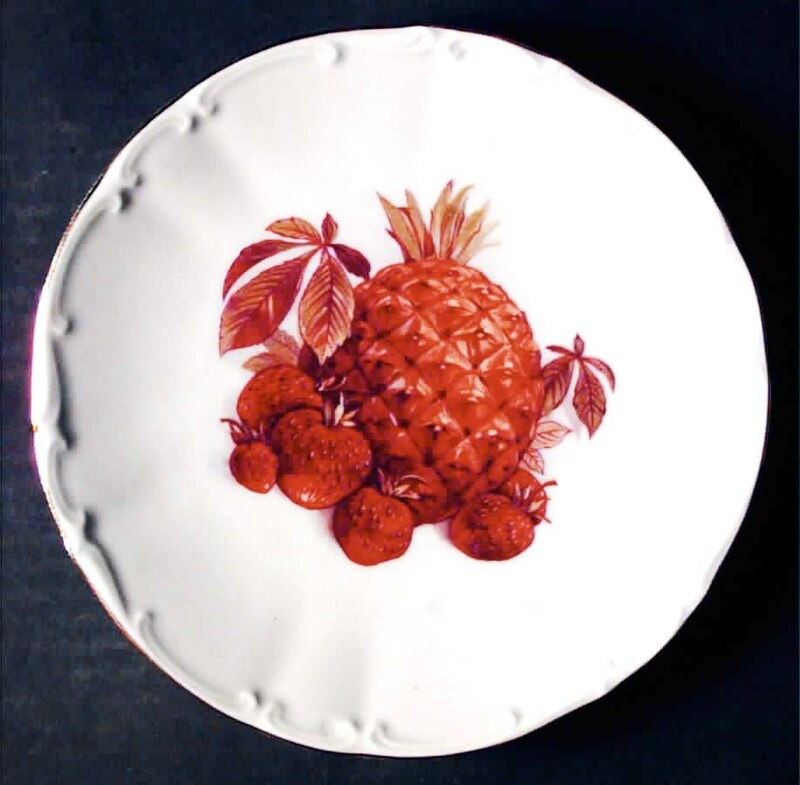 Vintage (1960s) Bareuther BTH112 | Winterling WIG224 Bavarian fruit plate dessert service of large round Winterling platter and four multi-motif Bareuther dessert plates. Made in Germany. 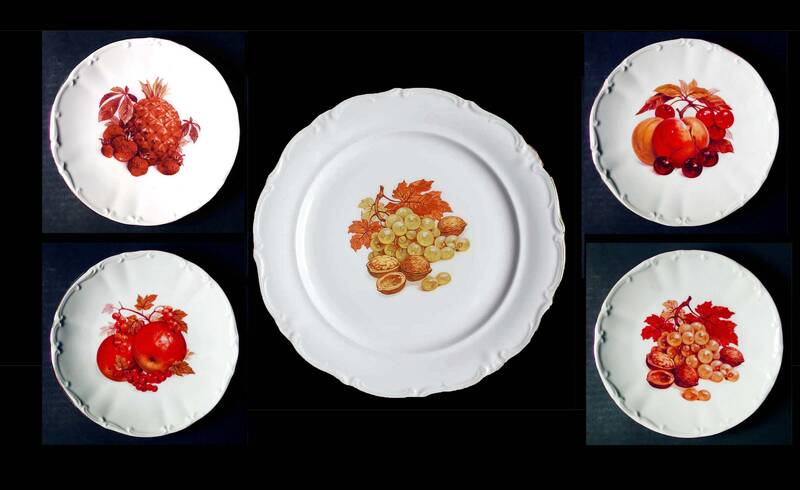 The 4 dessert plates, made by Bareuther, feature vivid images of different fruits set against a crisp, white ground. 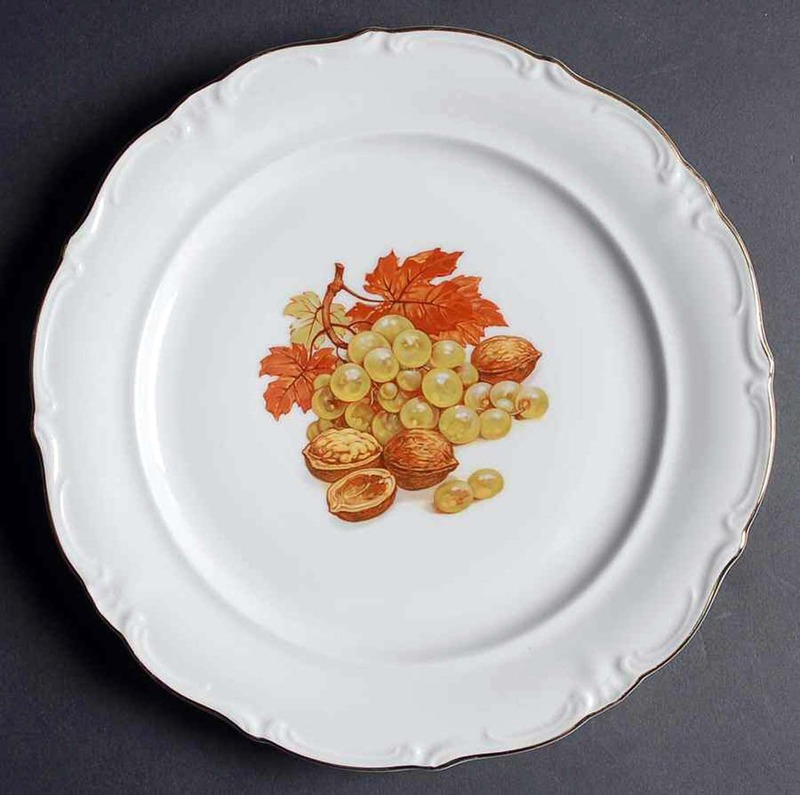 The large, round serving plate/platter features nuts, grapes and leaves and was made in Western Germany by Winterling. Each of the 5 pieces has an embossed, gold edge. In EXCELLENT! condition with NO! chips, cracks, fleabites or crazing, NO! gold loss to the edge and NO! signs of use or wear. Just beautiful. 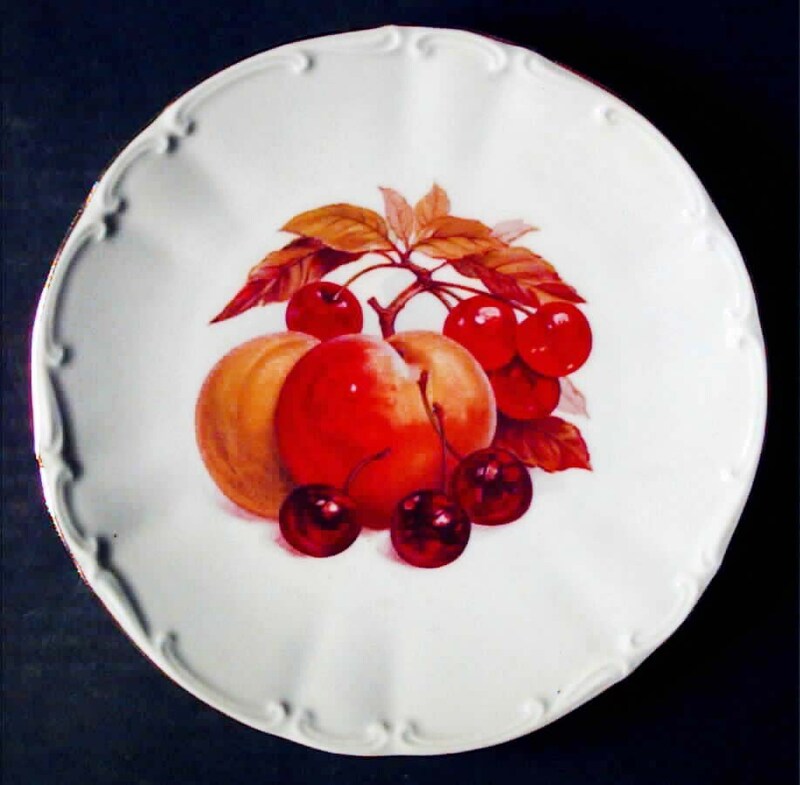 Approximate measurements: large plate is 11-5/8" in diameter. 4 dessert plates are 7" in diameter. 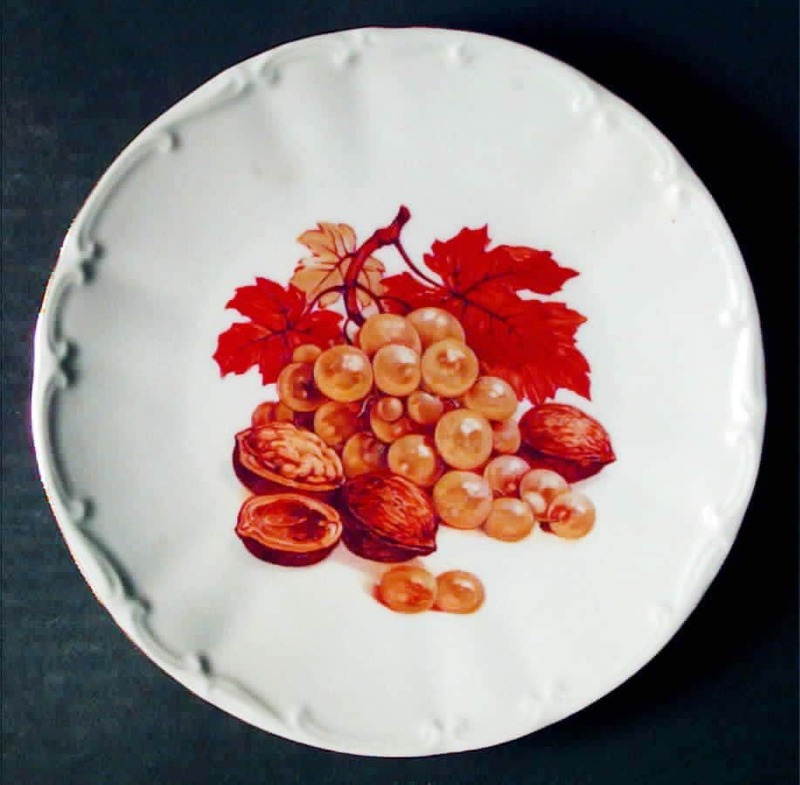 All have a coupe shape and scalloped, embossed edge.